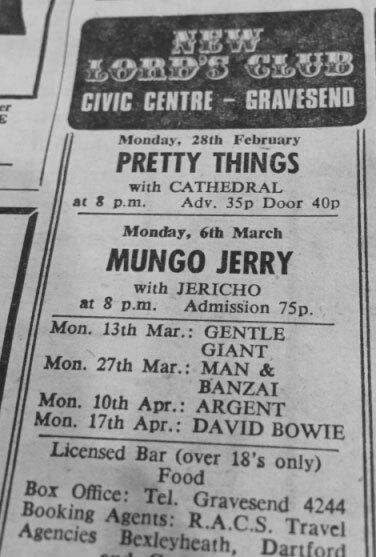 Opening on the 10th February 1972, the Ziggy Stardust Tours during 1972 produced ninety-four performances. The band consisted of: David Bowie (vocals, guitar, 12-string acoustic guitar), Mick Ronson (lead guitar), Trevor Bolder (bass guitar) and Mick 'Woody' Woodmansey (drums). *28th Feb: The Glasgow gig was cancelled as the venue management wouldn't allow the band to use their full amplification equipment. David came outside and explained the situation to waiting fans later. *21st March: The concert at the Free Trade Hall in Manchester was cancelled and rearranged for the following month. 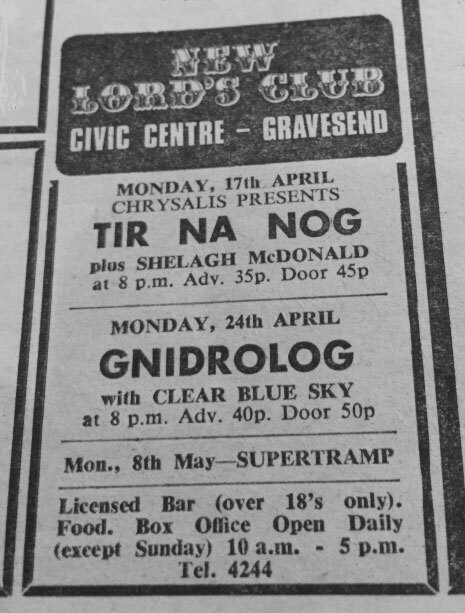 *17th April: The advertised concert at the New Lord's Club in Gravesend was cancelled. The replacement band were Tir Na Nog. *20th April: Matthew Fisher on piano joins the touring band on 20th April. *Robin Lumley replaces Matthew Fisher on piano starting from 2nd June. August sees the start of two week rehearsals for the Ziggy Stardust Show at the Rainbow Theatre. *Nicky Graham joins the backing band on piano. *Mike Garson joins the band on piano after being auditioned by Mick Ronson. *29th Nov: Mott The Hoople play at the Tower Theatre on November 29th, David joins them on stage.